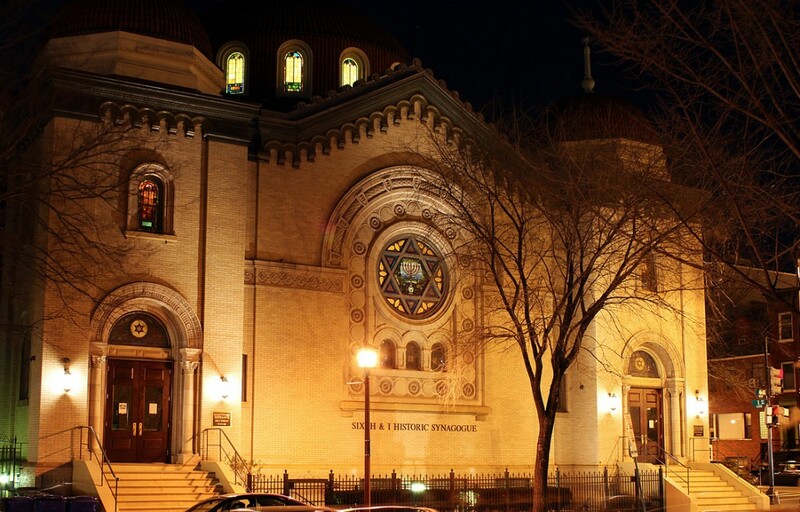 Sixth & I is a center for arts, entertainment, and ideas and a synagogue that reimagines how religion and community can enhance people’s everyday lives. Housed within a revitalized historic space dating back to 1908 in the heart of the Nation’s Capital, our unexpected mix of cultural and spiritual programs embraces the multi-faceted identities of those we serve and offers wide-ranging, eye-opening, and accessible experiences to inspire more meaningful and fulfilling lives. Our arts and culture programming—including talks, concerts, and comedy shows—entertains and enlightens the widest possible audience with innovative experiences that fuel curiosity, spark inspiration, and promote interaction with preeminent thought leaders and pop culture influencers. Our Jewish programming—including education, Shabbat services, holiday celebrations, and social justice work—offers dynamic ways for those primarily in their 20s and 30s to engage with Jewish values, ideas, and traditions on their own terms and without judgment. As a multi-denominational and non-membership spiritual home, Sixth & I works to foster community among people at a similar stage of life, figuring out what matters to them and who they want to be.